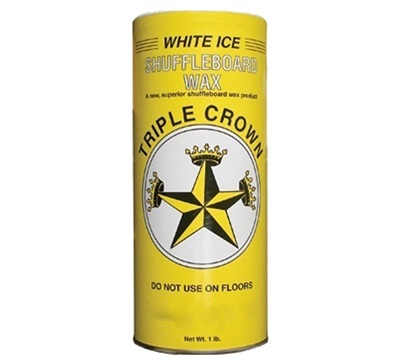 White Ice is the fastest of the shuffleboard wax. White Ice may be used alone or mixed with other waxes as a speed regulator to create your own custom speeds. Item sold individually in a 1 lb shake can.